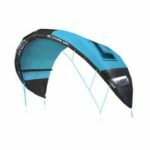 There are several factors to keep in mind when choosing a kiteboarding kite that is right for you. Slingshot has been building kite gear for over 2 decades and we believe that educating new riders (and having epic customer service) is the best way to onboard lifetime loyal Slingy’s! What are the main kite shapes? 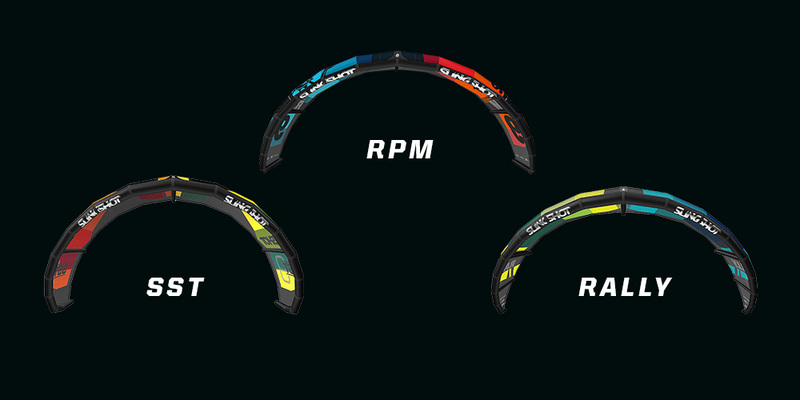 What kite shape matches your riding style? What type of kiteboard rider are you? Find the right kite match. The great part of Kiteboarding as a sport is the multiple persona’s it attracts. You can sit on any kite beach and see all genders, body forms & ages sharing an undeniable passion for water. We don’t believe in labels but here are a few rider types that perhaps you can relate to and will better help you pick your perfect kite! When it comes to helping people choose the right kite, we like to divide beginners into three categories. Beginner: So you’re a newbie, no shame in that. Just learn the basic kite skills, safety protocol and and etiquette from someone who knows what they’re doing (preferably an instructor or school) and you’ll be on your way to carving across the water in no time. Slow and steady: You’re cautious, perhaps a little intimidated, and are happy to take it slow and mellow. Once you do progress past the beginner state, you have little interest in being extreme. You just want to get out on the water and play safely. Fast and furious: You’re strong, athletic and on the fast-track learning method. Jumping, tricks, freestyle, waves and epic days are in your future. What are the main kite shapes in kiteboarding? Details: No bridle, classic C shape, wide squared-off wingtips, the most influential kite shape from which all modern shapes evolved. Details: A sport-changing shape that made kiteboarding approachable to the masses; a medium to high aspect ratio, tapered wingtips and a fully-supported leading edge bridle. Details: A modified C-kite shape with a more open canopy, slightly swept wingtips and a leading edge bridle. 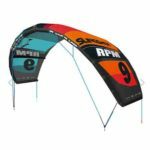 Benefits: The best of both worlds- combines the unhooked performance, power, pop, looping abilities of a C-kite with the range, depower, upwind drive, downwind drift and versatility of a bow kite. Undecided, confused or unsure what kite type will best fit your riding style? We can help. 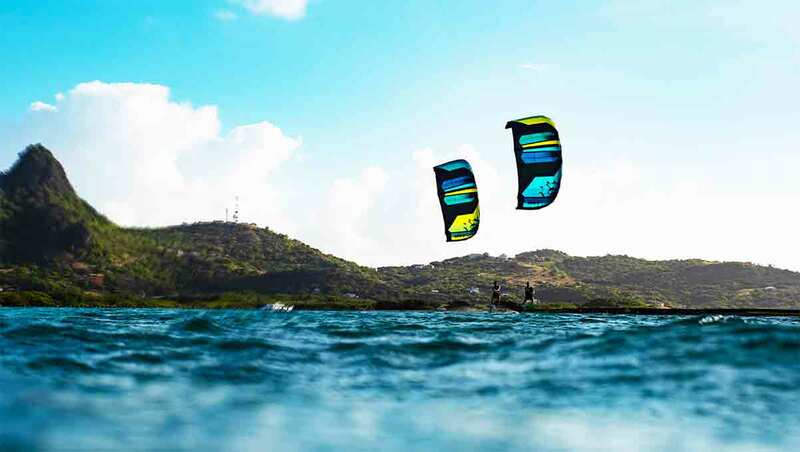 While this is by no means the definitive source, we live and breathe kiteboarding and kite gear, so it’s safe to say these suggestions should at least point you in the right direction. Slow and steady: A Delta or Hybrid-bow shape will be your best bet. These shapes favor user-friendly flying, easy relaunch and plenty of range and depower. In the Slingshot lineup, the longtime fan-favorite Rally is our hybrid-bow shape. Releasing in July will be our new hybrid-Delta Rally GT. The Rally will has great top-end performance while the upcoming Rally GT, although quite playful and fun for experienced riders, is geared more toward entry-level kiters who value friendly, well-behaved flying above all else. Fast and furious: If this is you, get a kite you can grow into, not one you’ll outgrow after your first season. 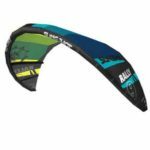 The Open-C shape Slingshot kite is the RPM– it is your best bet if you think you’ll progress into a freeride/freestyle rider who wants a kite with plenty of high-performance capabilities. If that’s not you, look at the Rally, which fits into the hybrid-bow category. The Rally is just as high performance as the RPM, it’s just geared more toward all-around versatility rather than freestyle and wakestyle. Casual/Mellow: Hybrid-bow. For Slingshot, that’s the Rally. You’ll love the range, relaunch and all-conditions reliability this shape offers. Unless you’re focused on a specific discipline of the sport, it’s hard to go wrong with the Rally. FREESTYLE: Hybrid-C- the RPM. 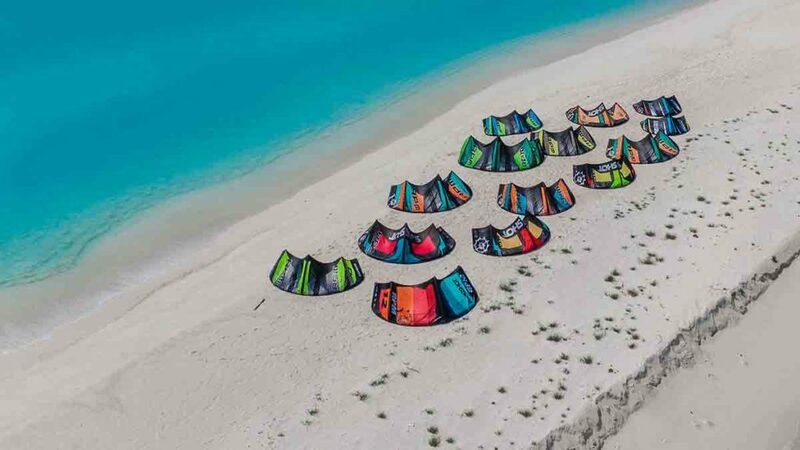 There’s a reason the RPM is the kite of choice for world class (and world champion) freestyle riders like Youri Zoon, Carlos Mario and Sam Light. The load and pop, unhooked performance, smooth loops and high-wind predictability are second to none. WAKESTYLE: Traditional C or Hybrid-C. Don’t let the hype of other kite shapes deter you- if you’re a dedicated wakestyle rider, you can’t beat the direct feel and power delivery, the pop, the unhooked performance or looping potential of a C-kite like the FUEL If you’re willing to sacrifice some of the straight C-kite power and performance for versatility, go with a Hybrid-C shape like the RPM. Hybrid-Bow (Rally): You want versatility, maximum range out of each kite, smooth lofty airs and less reactive or “twitchy” steering; not really interested in unhooking or looping. Hybrid-C (RPM): You like a faster, more reactive kite that you can whip aggressively, loop, unhook with and load and pop for tricks. Hybrid-C (SST): You want a versatile kite you can do anything with, but your style is favored more toward slashing swell, cruising downwind, using a surfboard or foiling- all of which are best served by a wave-oriented kite with exceptional downwind drift. SURF: Hybrid-C (SST). This one is easy. If you’re into riding waves, you want the fast-turning, tight looping performance of a modified C shape, with the exceptional downwind drift created by a fine-tuned bridle configuration and the instant relaunch of swept, Delta-like wingtips. For Slingshot, all those features are found in the SST. LIGHT WIND: Bow. For Slingshot, that’s the Turbine. The high aspect shape and long, slender wingtips of a bow kite will give you the most bang for your buck in light wind. These kites steer quite a bit slower- both because of their shape and because big kites of any shape are slower by nature- but what you sacrifice in handling, you gain in grunt, low-end power and apparent wind once you get up to speed and cruising. FOILER: Hybrid-C (SST): We’ll assume we are talking about freeride foiling here, not racing. If you’re into foiling, you want a kite that floats like a feather in the air, drifts downwind without falling out of the sky, maintains reactive steering without full tension on the lines, relaunches well in light wind and whips quickly through the window. The SST is all of that and more. Its Hybrid C-shape has the fast-turning, tight looping performance of a modified-C, with exceptional downwind drift created by a fine-tuned bridle configuration and the easy relaunch of swept, Delta-like wingtips.